At Discount Cricket Outlet we try our hardest to offer the best service possible, and understand that while ordering over the internet can sometimes be a little difficult to judge sizes and colours, we try to offer a returns policy that takes this into consideration. As a result of this we offer either an exchange (upon receipt of additional postage) or a refund of all goods purchased through Discount Cricket Outlet (except cricket bats that have been knocked in or personalised with edging tape or a face fitted), providing they are returned to us in their original packaging, with any tags attached and have not been used, within 14 days of delivery and that we have received written notification that a return is required. Please note that before initiating a return you must contact us either by phone on 0800 2335 220 or email to info@discountcricketoutlet.com to discuss your concerns. Any items that are returned to us without prior contact may be returned to you with no further action being taken and with the return postage cost being payable by you. Any return postage relating to orders no longer required must be done at your own cost. We will always deduct our postage costs from any refunds relating to exchanges or refunds of none faulty items and are sorry but we cannot refund any postage or packaging costs and charges incurred by yourself on any such returns. You may also incur additional charges for any items which are exchanged. 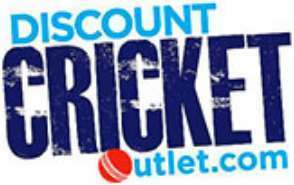 Discount Cricket Outlet will refund and take full responsibility for any cricket equipment items that have been incorrectly despatched. Should you feel that you have received faulty goods then in the first instance please make contact with us either by phone to 0800 233 5 220 or email to info@discountcricketoutlet.com to advise us of the situation. The majority of manufacturers will offer a warranty period of 6 months from the date of purchase on their products. We reserve the right to seek the opinion of the manufacturer if it isn’t an Discount Cricket Outlet manufactured item. Any decision on these matters is made at their discretion and is final.